Every year since 1981, the Golden Raspberry Awards, a.k.a. the Razzies, have taken place the day before the Academy Awards to celebrate the worst in cinema. Ironically, on several occasions actors have won both a Razzie and an Oscar—sometimes in the same year (we’re looking at you, Sandra Bullock). Yet the Razzies never cease to amaze with their picks. Here are 12 surprising winners. Leonardo DiCaprio's first film after the juggernaut Titanic was the 1998 swashbuckling remake of The Man in the Iron Mask. He played twins King Louis XIV and Philippe, and apparently neither one of them gave a very impressive performance. 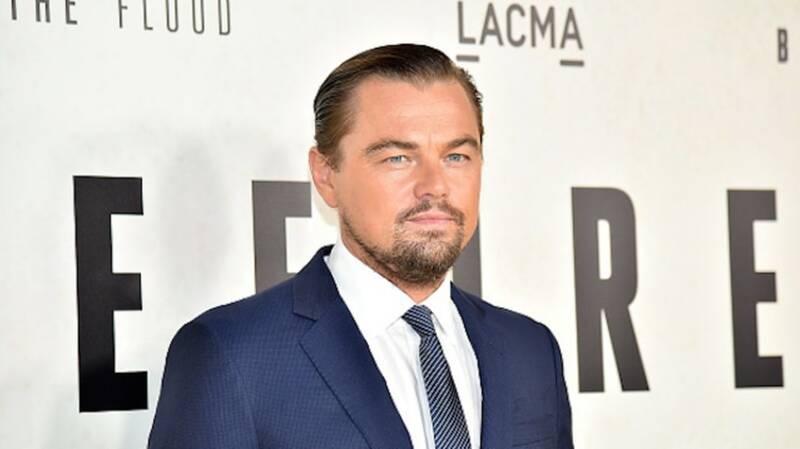 In 1999—five years after he received a Best Supporting Actor Oscar nod for What’s Eating Gilbert Grape—DiCaprio defeated Spice World to win for Worst Screen Couple at the Razzies, which means he won twice. In 1991, more than a quarter-century before he was sworn in as the 45th President of the United States, Donald Trump won a Worst Supporting Actor Razzie for playing himself in Ghosts Can't Do It. The movie’s IMDb description reads: “Elderly Scott kills himself after a heart attack wrecks his body, but then comes back as a ghost and convinces his loving young hot wife Kate to pick and kill a young man in order for Scott to possess his body and be with her again.” Anthony Quinn plays Scott, and Bo Derek plays Kate (Leo Damian played the young man, not Trump). Trump won the award at the 11th annual ceremony, held on March 24, 1991. If it’s any consolation, John Derek won Worst Director for the movie, Bo Derek won Worst Actress, and the movie tied with Andrew Dice Clay’s The Adventures of Ford Fairlane for Worst Picture. In his category, Trump edged out Gilbert Gottfried (who was nominated for three movies), Burt Young, Wayne Newton, and his own co-star, Leo Damian. Eddie Redmayne’s 2016 Razzie win is yet another example of an Oscar winner alternating the high with the low, because the previous year he won a Best Actor Oscar for The Theory of Everything (and was nominated in the same category again last year, for The Danish Girl). Redmayne beat out Chevy Chase, Josh Gad, Kevin James, and Jason Lee to take home the Worst Supporting Actor award for Jupiter Ascending, which received additional nominations for Worst Picture, Worst Actor (Channing Tatum), Worst Actress (Mila Kunis), and Worst Director and Screenplay (the Wachowskis)—though Redmayne was the film’s single award winner. Michael Moore’s controversial 2004 documentary Fahrenheit 9/11 treated both former president George W. Bush and his secretary of defense, Donald Rumsfeld, as villains. In 2005, for the first time ever, the Razzies nominated a movie that was both critically-acclaimed and a financial success (it grossed $222 million worldwide). Bush beat out Ben Stiller, Ben Affleck, Colin Farrell, and Vin Diesel—actual actors—for Worst Actor, while Rumsfeld was named Worst Supporting Actor over perennial favorite Val Kilmer, Arnold Schwarzenegger, Jon Voight, and Lambert Wilson. Bush also won for Worst Screen Couple: “George W. Bush and either Condoleezza Rice or his Pet Goat,” the book Bush read to Florida schoolchildren the morning of the 9/11 attacks. Fahrenheit 9/11 won a total of four Razzies, including one for Britney Spears, who made a tiny cameo in the film (as herself). Over the course of his more than 50-year career, Marlon Brando earned eight Oscar nominations and won twice. But that didn’t prevent him from starring in a few stinkers. Brando received his first Razzie nod at the very first Razzie Awards, in 1981, when he was nominated for Worst Supporting Actor for The Formula. He was nominated in the same category again in 1993, for Christopher Columbus: The Discovery, and then again in 1997, when he won for playing Dr. Moreau in the critically panned The Island of Dr. Moreau. He beat out co-star Val Kilmer, Burt Reynolds, Steven Seagal, and Quentin Tarantino to win the not-so-coveted award. Neil Diamond segued into film acting when he starred in the 1980 remake of The Jazz Singer. The movie grossed a middling $27 million, but the Diamond-penned and performed soundtrack sold 5 million copies. The odd thing is, in the same year that Diamond won a Worst Actor Razzie for The Jazz Singer, he was nominated for a Best Actor in a Musical/Comedy Golden Globe for the same role. Long considered one of the world's greatest actors, Sir Laurence Olivier fell from grace in 1981 when he, like his co-star Neil Diamond, won a Razzie for The Jazz Singer—in Olivier's case, it was a Worst Supporting Actor award, which he ended up sharing with John Adames from Gloria (so at least he wasn’t alone in his shame). It’s a head-scratcher how the Shakespearean actor—who won three Oscars, three Golden Globes, and five Emmys—ended up with not one, but two Razzies (he won a Worst Actor award in 1983 for Inchon, besting Arnold Schwarzenegger’s portrayal of Conan the Barbarian). But the Razzies weren’t the end of Olivier's lauded career: In 1984 he won an Emmy for King Lear. In 1989, McDonald's iconic mascot, Ronald McDonald, won a Worst New Star award—beating out then-newcomer Jean-Claude Van Damme—for playing himself in Mac and Me. The movie, about a wheelchair-using young boy and his alien friend, was also nominated for Worst Director, Worst Picture, and Worst Screenplay. Today, Mac and Me is probably best-known for finding its way into movie clips whenever Paul Rudd appears on Conan. Sylvester Stallone is a three-time Oscar nominee, and a Razzie veteran. He won his first Golden Raspberry in 1985, for Worst Actor in Rhinestone. He has been nominated for dozens more Razzies since then, and won 10 of them, including a Worst Actor of the Century in 2000 and the Razzie Redeemer award in 2016, which is about as nice as the Razzies get, as it was for his move “From All-Time Razzie Champ to Award Contender for Creed” because of the Best Supporting Actor Oscar nod he received last year for Creed. Oscar-winning screenwriters Eric Roth (Forrest Gump) and Brian Helgeland (L.A. Confidential) won a Razzie in 1998 for adapting the book The Postman into a terrible Kevin Costner movie. Their script, according to the Razzies, was worse than the screenplays for Anaconda, Batman & Robin, The Lost World: Jurassic Park, and Speed 2: Cruise Control. Fortunately (or unfortunately), Roth and Helgeland weren't the only members of The Postman team to earn some attention from the Razzies; the film also won for Worst Picture (Costner), Worst Actor (again, Costner), Worst Director (again, Costner), and Worst Song (not Costner). The day after the Razzies, Helgeland and writer/director Curtis Hanson won the Oscar for Best Adapted Screenplay for L.A. Confidential. Roth, who had won an Oscar in 1995 for writing Forrest Gump, shook off his Golden Raspberry win and went on to win three more Oscars (and counting).